All entities/ operators who are engaged in organic production or processing and sales activities in the Chinese market must be certified according to the GB/T 19630-2011. 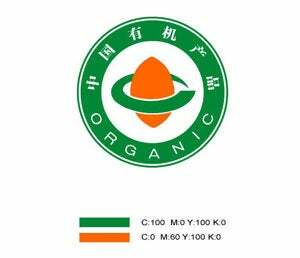 Kiwa BCS Öko-Garantie GmbH is one of the pioneers of the organic movement in Europe, and the CB of embranchment from China, Kiwa BCS China offers inspection and certification according to GB/T 19630-2011 in all areas of organic production. In recent years, China's organic market has become the fourth largest in the world. This provides an exciting opportunity for companies in the food sector. With the CHN certification, a product can be labeled as 'organic' and sold in the Chinese market. Kiwa BCS Öko-Garantie GmbH is one of the pioneers of the organic movement in Europe, and the CB of embranchment from China, Kiwa BCS China can offer inspection and certification according to GB/T 19630-2011 in all areas of organic production, including planting (crops, mushroom, wild collection), breeding (livestock and poultry, agriculture) and processing. Applicants /operators must ensure that the applied products for certification are listed in the Certification Directory of Organic Products. And this list gets updated from time to time according to the needs of the Chinese market. Since 1992, Kiwa BCS Öko-Garantie has more than 26 years of experience in organic certification. BCS was the first German certificate to be registered in accordance with the European Union Organic Regulation (EEC 2092/91). According to its versatile accreditations, records and collaborations, Kiwa BCS is able to provide access to all organic markets (Global Organic Market) all over the world at one time. Kiwa BCS provides services in around 70 countries in the world with its local branches and local auditor network. Improve competitiveness – CHN organic certification helps you enter the Chinese market and obtain new partnerships. Demonstrate your commitment to quality – certification shows customers, partners and employees your products meet the requires quality standards. Meet customers’ needs – customers are increasingly demanding organic produced products; you can show them your credentials with the Chinese organic label.